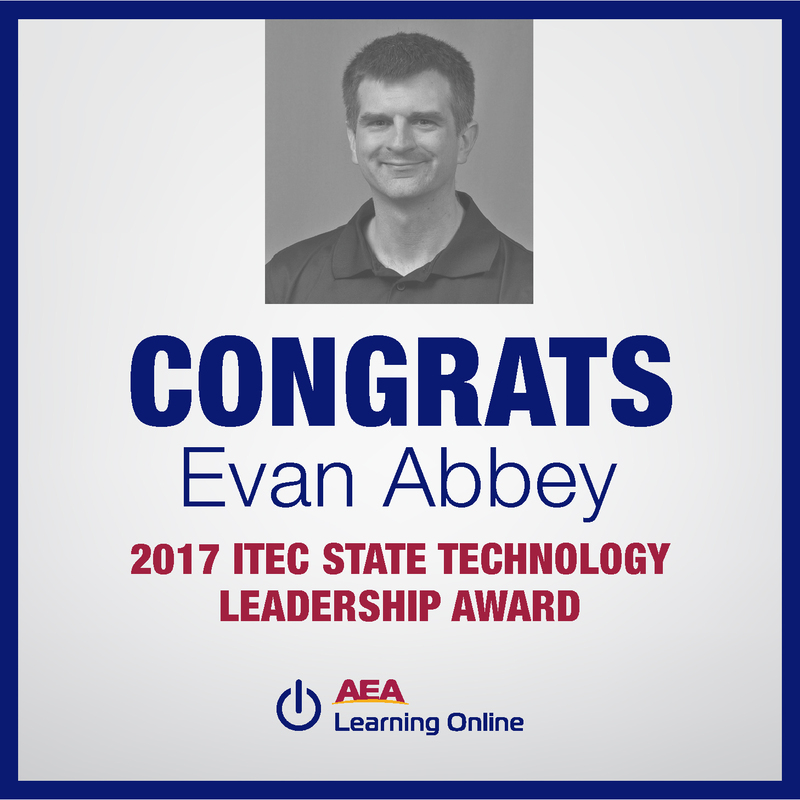 Technology and Education Connection (ITEC) State Technology Leadership Award during the ITEC Conference opening ceremonies held on Monday, Oct. 15, 2017. The conference is held at the Iowa Events Center in Des Moines. 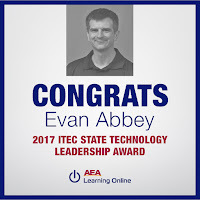 Evan has been the project director for AEA Learning Online since February 2010. His background includes positions as a Professional Learning and Leadership consultant at Heartland AEA; high school principal, Grinnell CSD; director of technology, Howard-Winneshiek CSD; high school language arts teacher, Postville CSD; and ms/hs language arts teacher, North Winneshiek CSD. 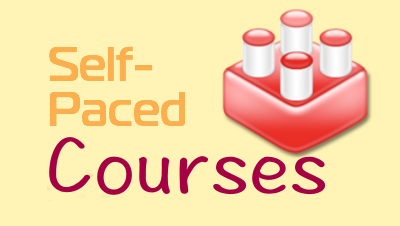 AEA Learning Online offers online learning opportunities, which include Professional Learning for educators and K-12 Online Resources for students.